Cut the guitar from white card, Colour with distress oxides, Walnut stain and Peeled Paint, spritz with water, leave to dry. 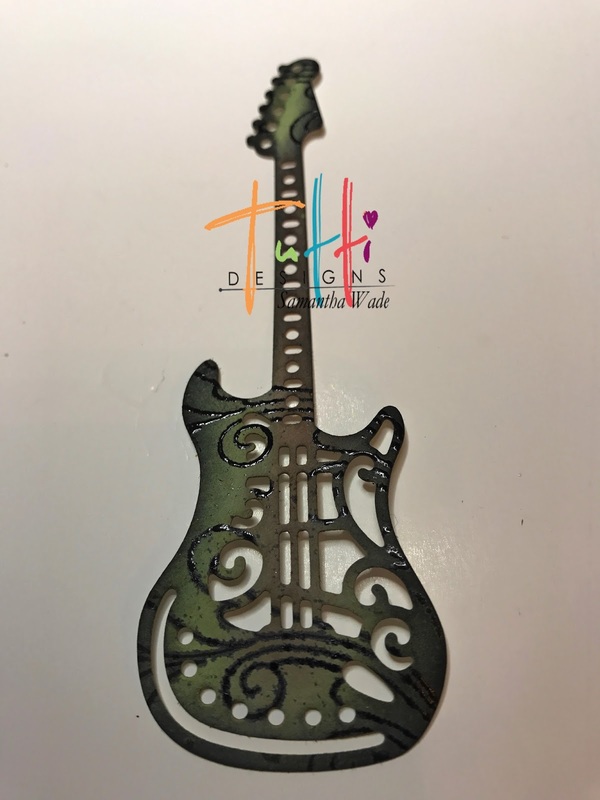 Stamped swirl lines across the guitar with black versa fine ink. Create a background with distress inks and a straw, to blow the colours around. Used a stencil with black patina paste to create the notes and to edge the card. 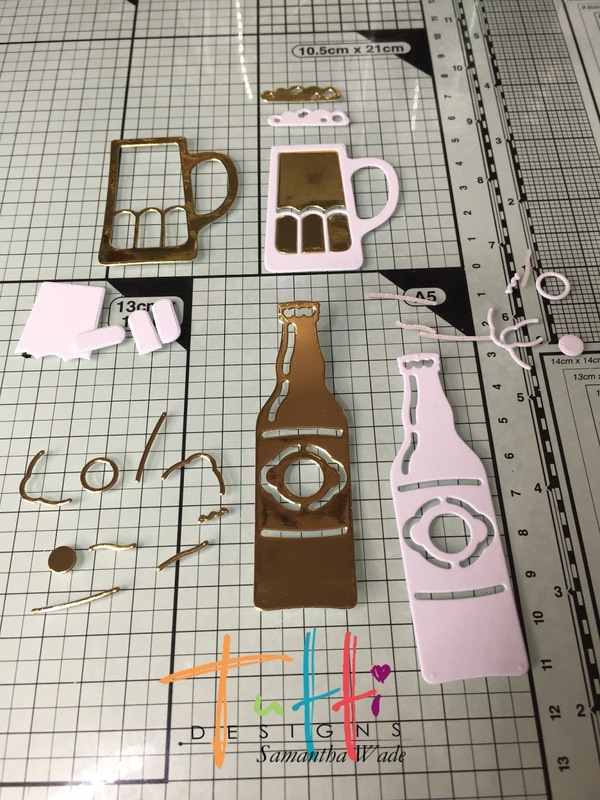 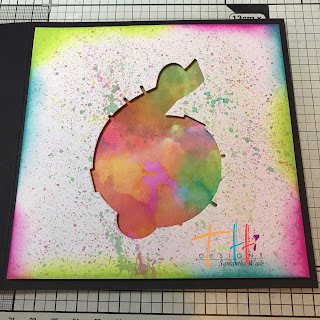 Stamped the shock waves onto heat resistant acetate and heat embossed with black powder, cut to fit the edges. 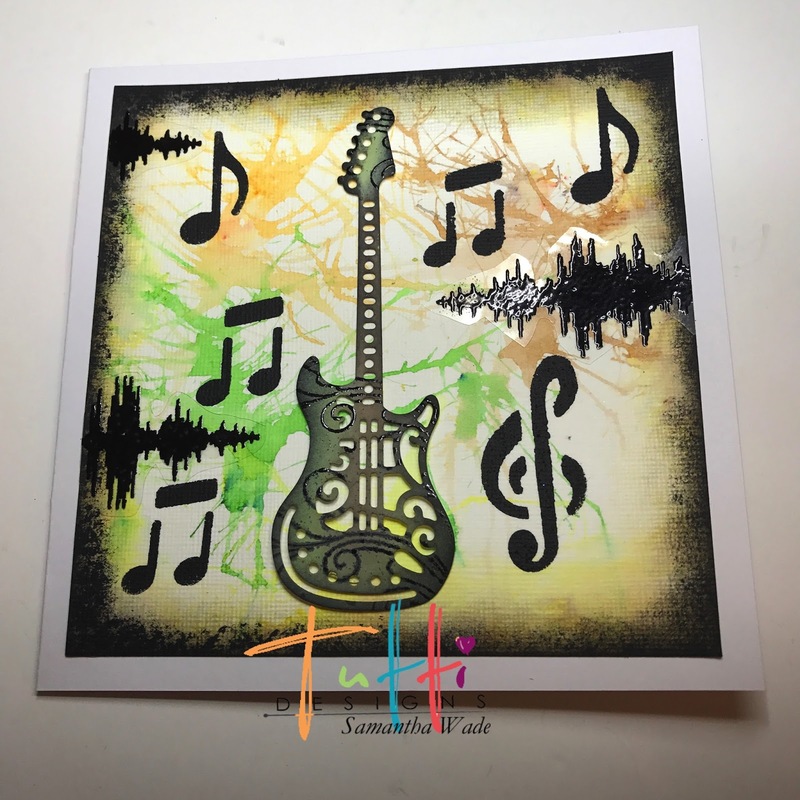 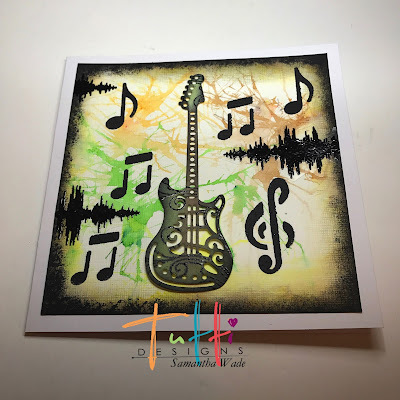 Glue the background onto the white card, 3D glue gel the guitar to the centre of the card. 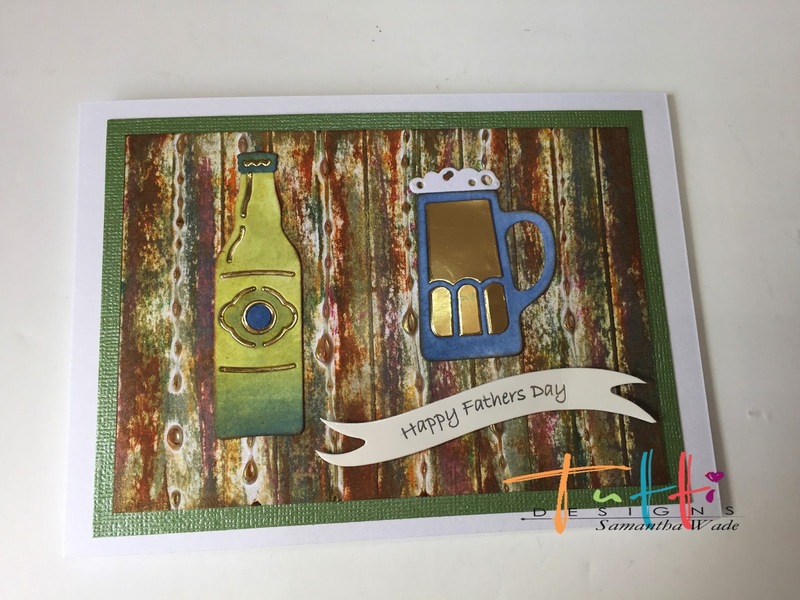 I find mens cards a bit of a challenge, but really like this one and would look good in any colour, next week i will do a girly version. 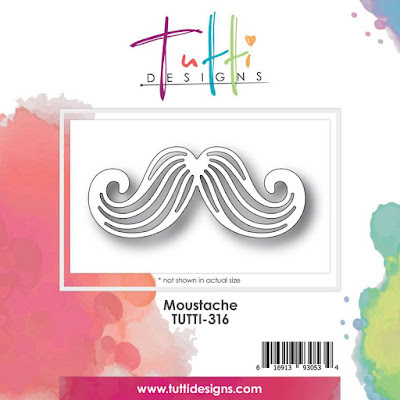 I've created another masculine card. 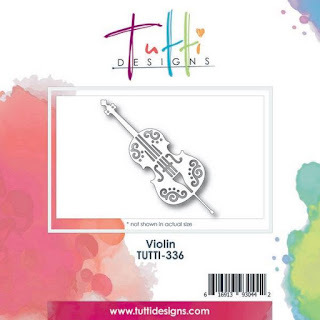 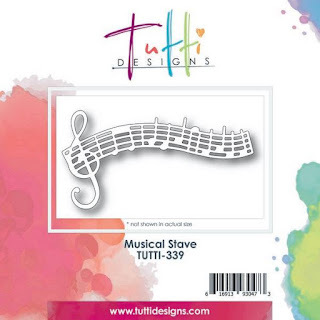 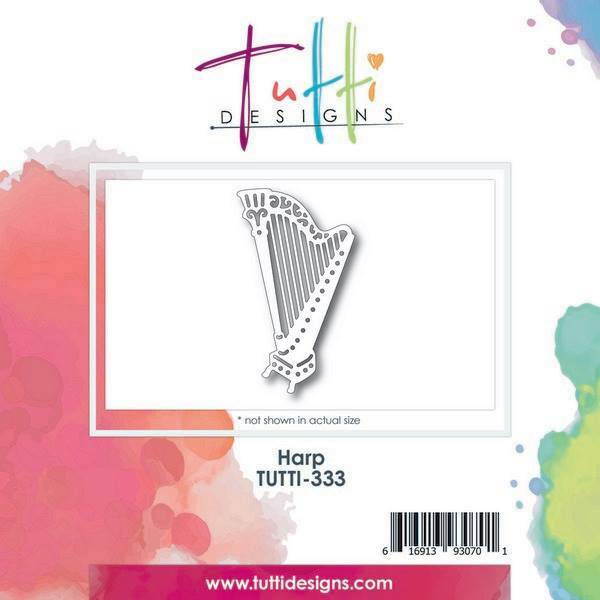 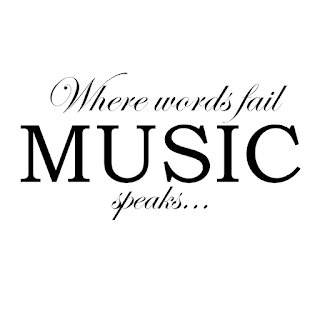 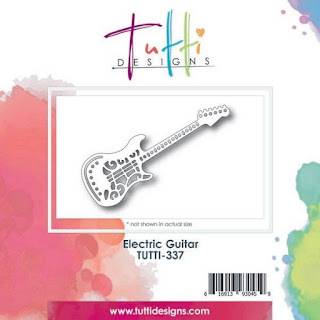 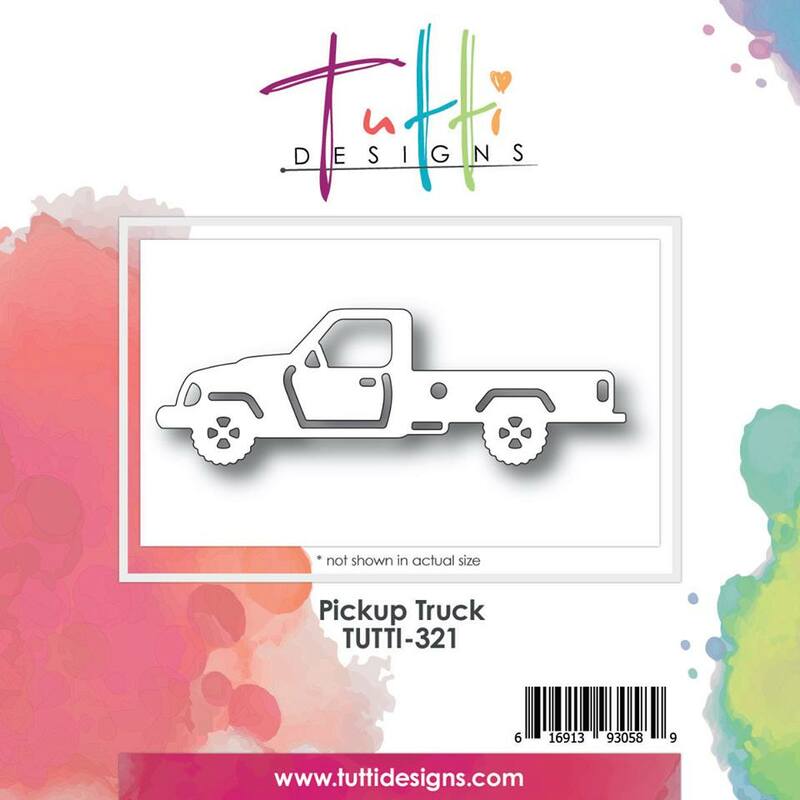 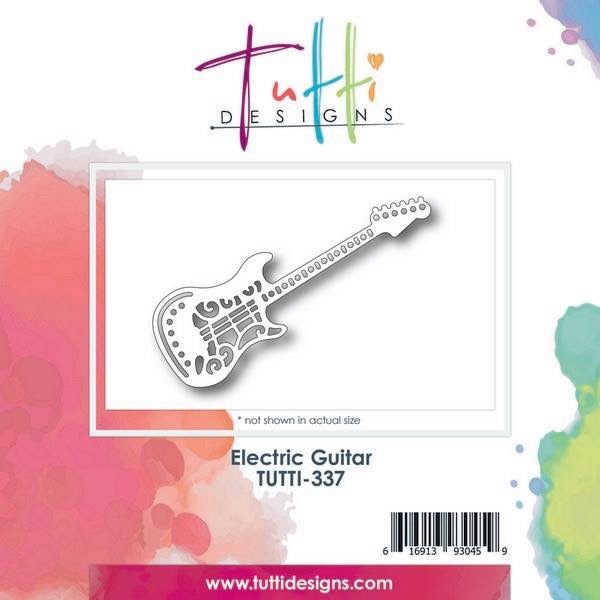 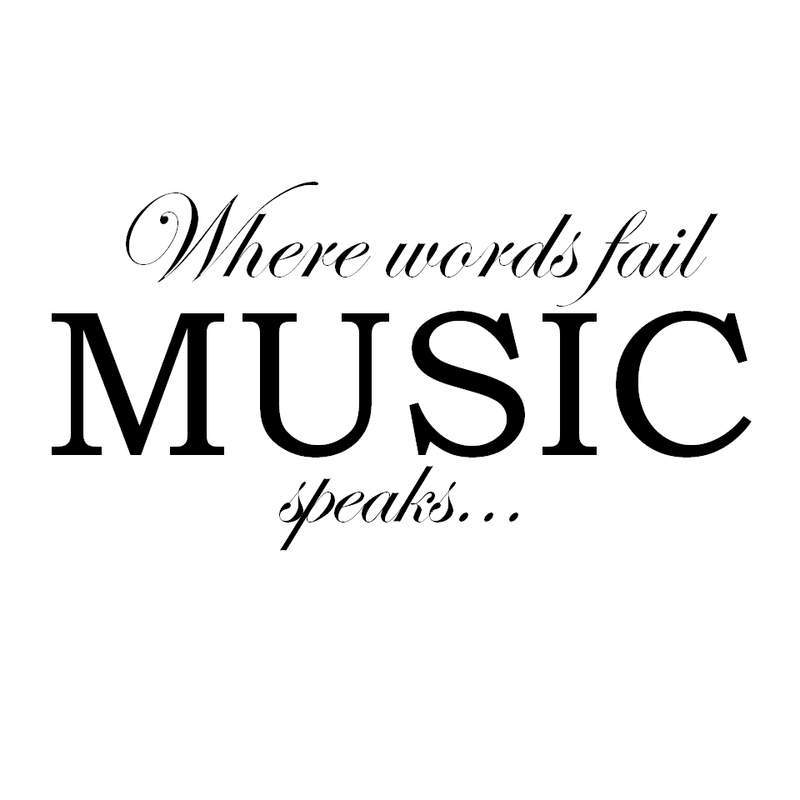 Today is from this months new release Treble Clef, TUTTI-340. 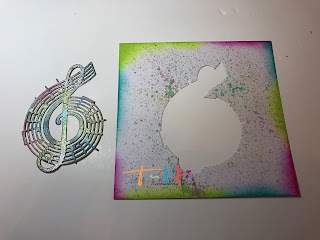 Cut a square from white card, centre the treble clef and die cut. 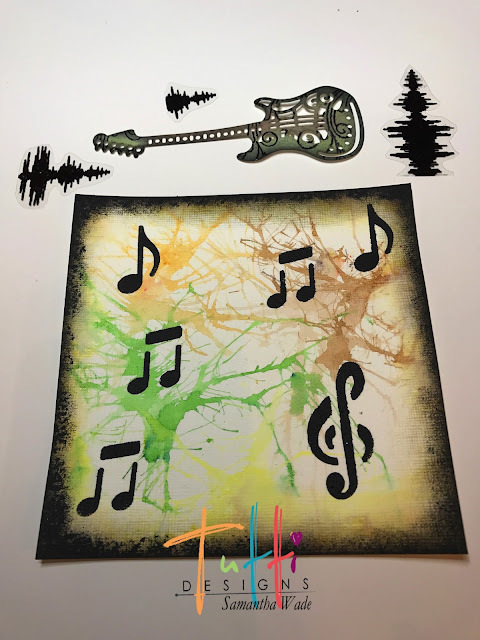 Create a background with distress inks. 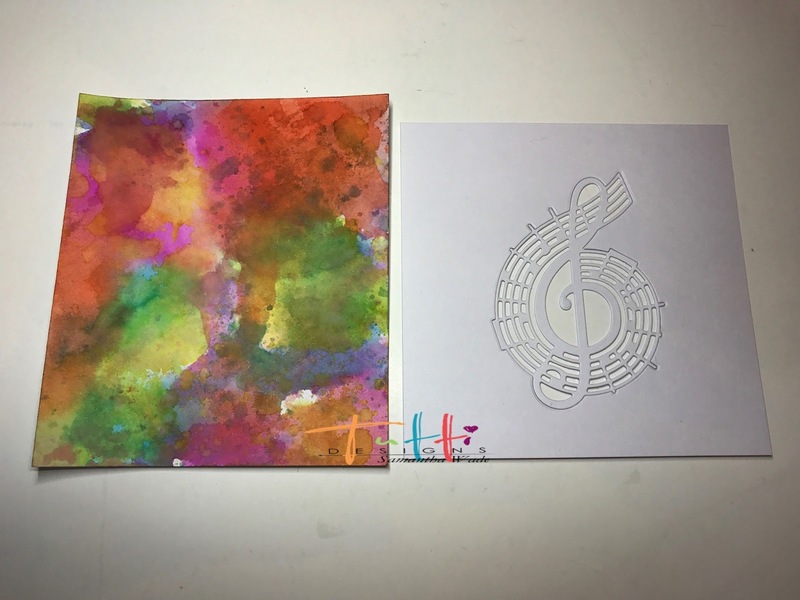 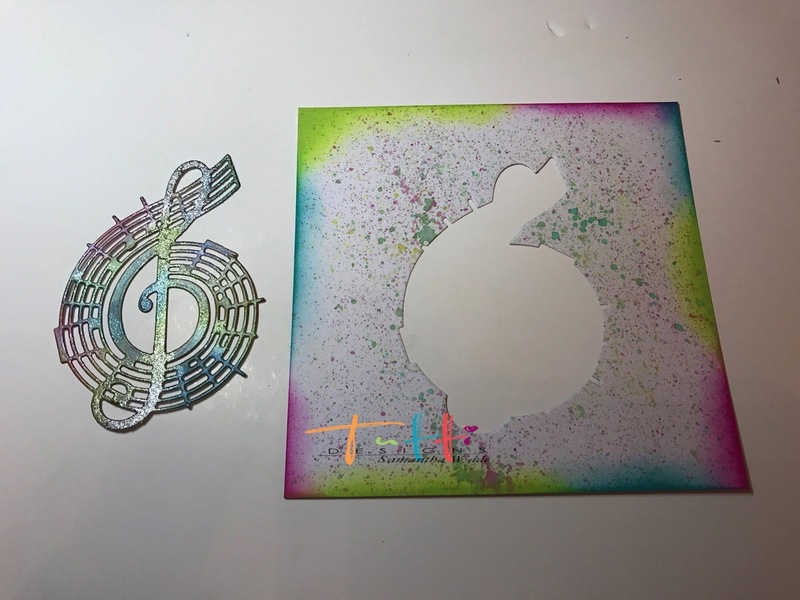 Colour both pieces with distress inks and splats, some glitter on the treble clef. 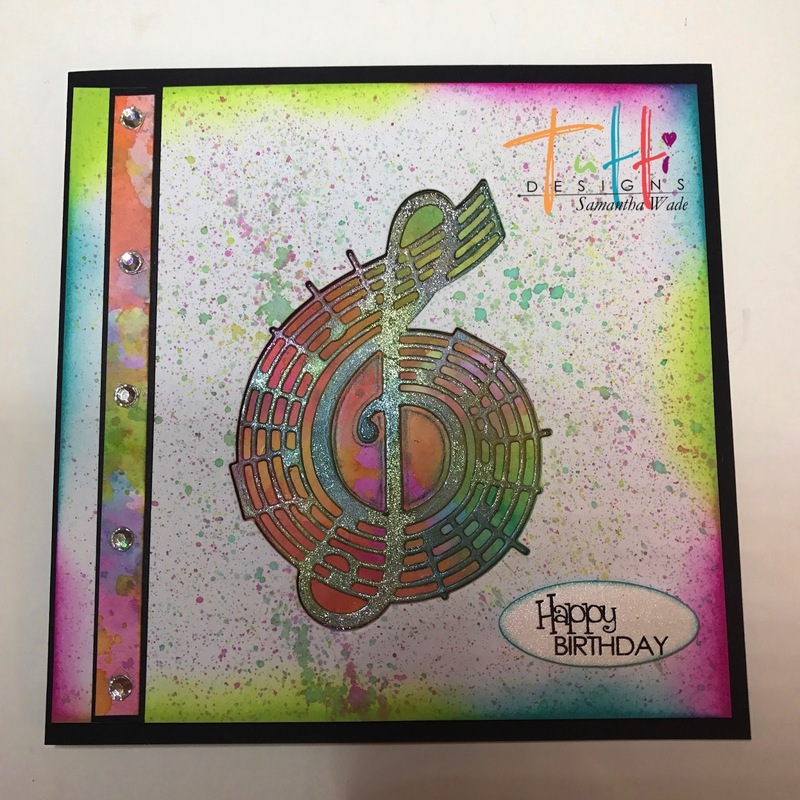 Glue the background onto the black card, 3D foam the die cut background onto the card, and glue the treble clef flat. 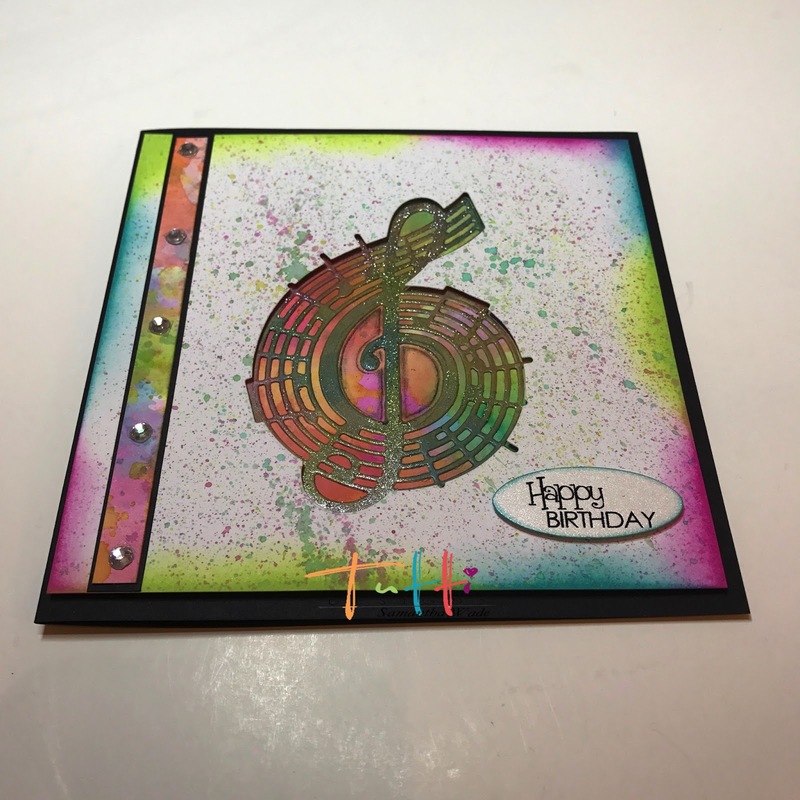 Add a side strip of colour, a few gems and a sentiment.